Jon Athan: Tales From Under The Bed Vol. 4 now available for pre-order! Coming March 4th, 2015! Tales From Under The Bed Vol. 4 now available for pre-order! Coming March 4th, 2015! 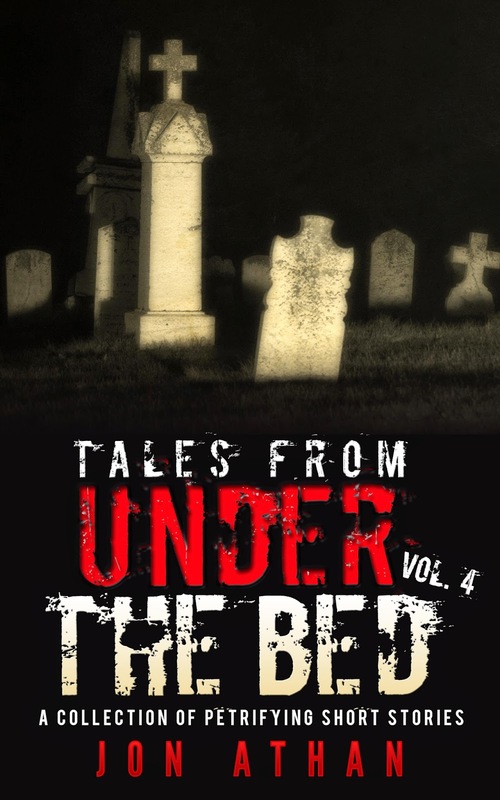 If you didn't read the title of this blog post, Tales From Under The Bed Vol. 4: A Collection of Petrifying Short Stories is now available for pre-order on Amazon.com! The book will release on March 4th, 2015, your pre-order will ensure release date delivery. The fourth installment in the horror anthology series features 8 brand new scary stories and an extended preview to my horror-novella, A Phantom Passion. The stories include serial killers, ghosts, creatures, possession, and more. This book blends elements of reality and fantasy to create a terrifying experience. I'd explain more, but I don't want to spoil the surprises. Regardless, it'll be a step up from Volume 3 and it'll set a new benchmark for my writing. I genuinely hopes it resonates with you - my audience. Anyway, you can read about the stories on the Amazon page. You can also pre-order the book for $2.99. The book will also be available for your Kindle Unlimited and Kindle Owner's Lending Library subscriptions. Thanks for your interest and your continuous support - it means the world to me. A Phantom Passion is available now! Only $0.99!